Remember folks: during the next time you bite into a slice of fruit or take a bite out of your favorite vegetable, you’d might want to keep in mind consider that the produce we have today were all thanks to genetic modification. They’re called ‘Genetically modified foods’, nicknamed ‘GMO’ – and topics surrounding this health topic have long been controversial. 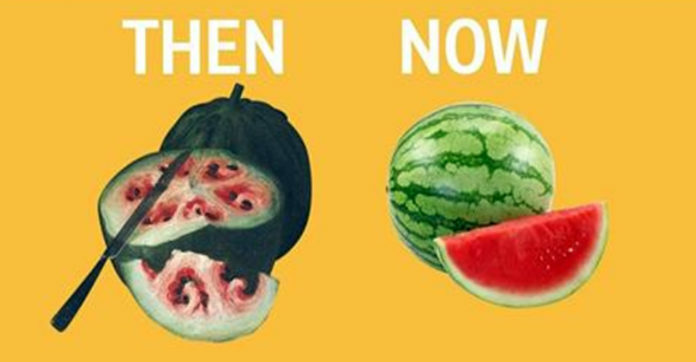 From selective gene pooling to cross-breeding across types of fruits and vegetables, the then and now of many produce were greatly different as compared to how we’ve remembered them to be – have a look below!